As many Canadians look forward to an extra hour of sleep because of Sunday's early-morning time change, dairy cows may be mooing with displeasure about it. As many Canadians look forward to an extra hour of sleep because of Sunday's time change, dairy cows may be mooing with displeasure about it. That's because adjustments to the day-to-day lives of cows can come with some negative side effects. 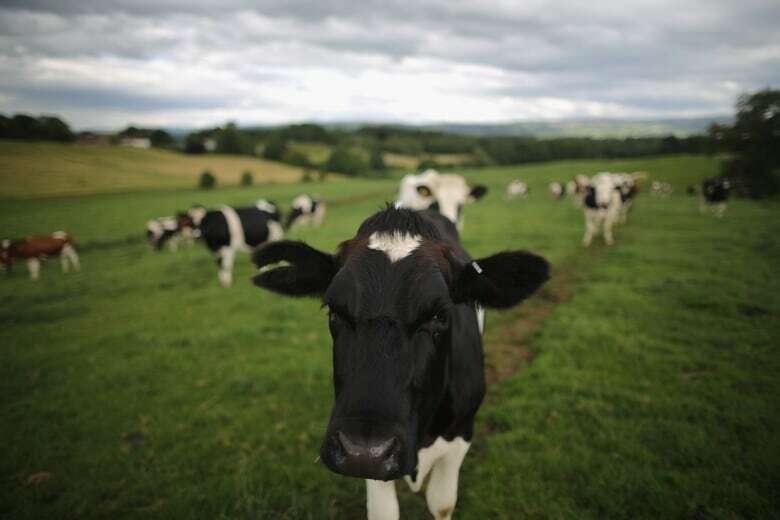 "They're creatures of habit, they like routine and they like predictability," said Miriam Gordon, a professor in Dalhousie University's agriculture faculty in Truro, N.S. On Sunday at 2 a.m. local time, the clocks will be turned back an hour for many Canadians, meaning some cows will have to wait an extra hour to be milked, assuming no adjustments are made to their milking schedule. Gordon said dairy cows learn to associate the time of day with milking and they anticipate this both behaviourally and physiologically. 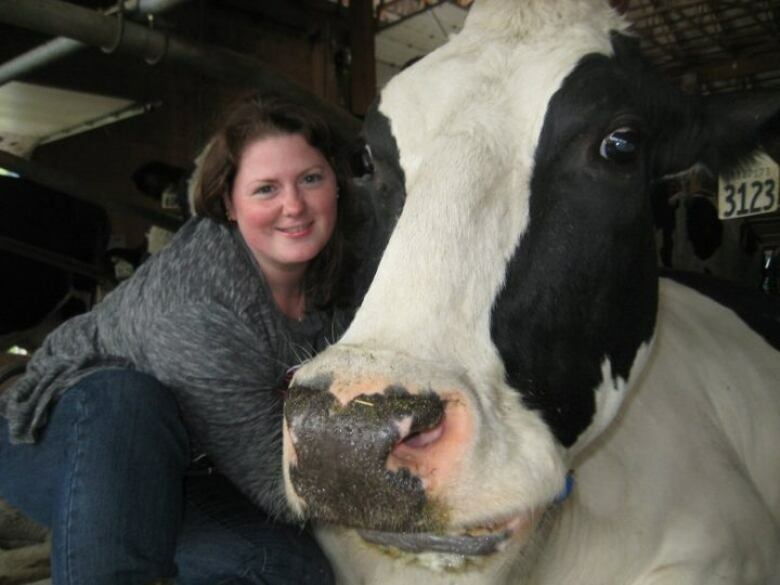 "Their mammary glands, their udder, is ready to be milked," she said. "It's full, it's going to start dripping milk and so they're ready to be milked. So with the time change, you're potentially putting it back a whole hour's time. You're going to have some pretty vocal cows." Gordon said the cows will moo to indicate they're waiting to be milked and that they're uncomfortable. Gordon, who teaches animal behaviour, welfare and physiology, said milk production will sometimes dip temporarily because of a time change. Dairy farmers typically milk their cows two or three times a day and space it out every 12 or eight hours, respectively. In Nova Scotia, there are around 200 dairy farms, which collectively produce about 200 million litres of milk each year. Brian Cameron, the general manager of the Dairy Farmers of Nova Scotia, said most farms start milking early in the day between 3 a.m. and 5 a.m. so they can finish the workday at a reasonable hour. Some farmers will make small adjustments to milking times over a few days to ease the transition or go "cold turkey" and make no change, said Cameron. He said that experienced farmers have systems in place to adjust to the time changes, so it's not a major concern for them. Farmers are "locked and loaded into a very regimented routine with their herds, the chores, milking the cows," said Cameron.